Every once in a while, there comes an artist who causes me immense existential crisis as a dance photographer. Without fail, they make me question what am I doing by missing out on an extraordinary performance. Instead of experiencing their performance like rest of the spellbound audience, there I was, burdening myself with 2 kilograms of camera equipment hung around my neck with my eyes strained on the viewfinder. 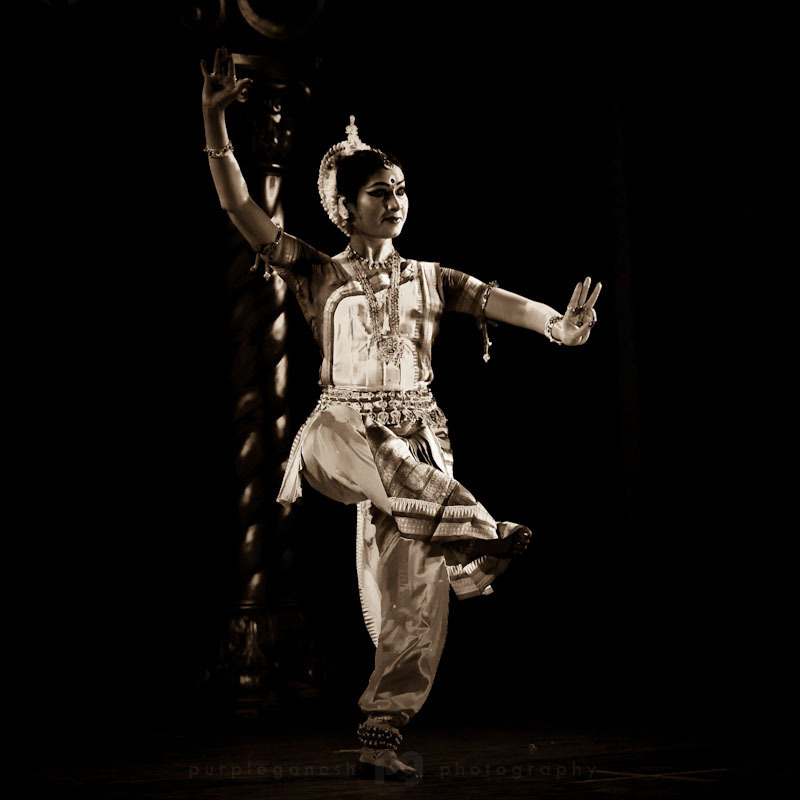 Odissi dancer Sujata Mohapatra, got to be one of them. Even our 3 year old who seldom survives any concert after the first half hour seem to be hooked. 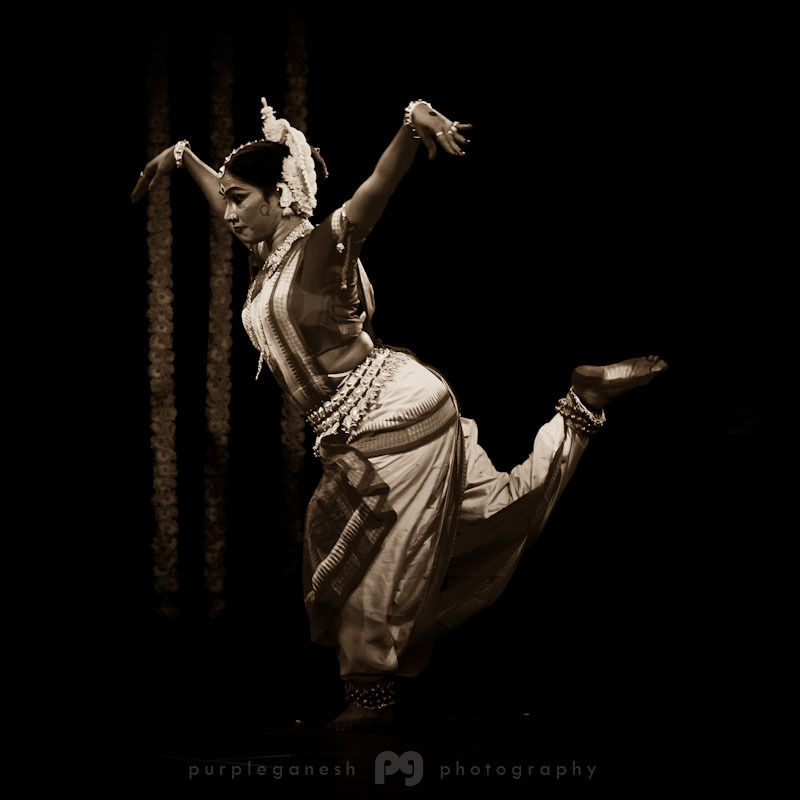 While I typically steer away from the iconic "poses" while photographing classical Indian dance and tend to focus more on the kinetic aspect of the performance, I found myself being captivated by the stillness of some of these classic Odissi frames. 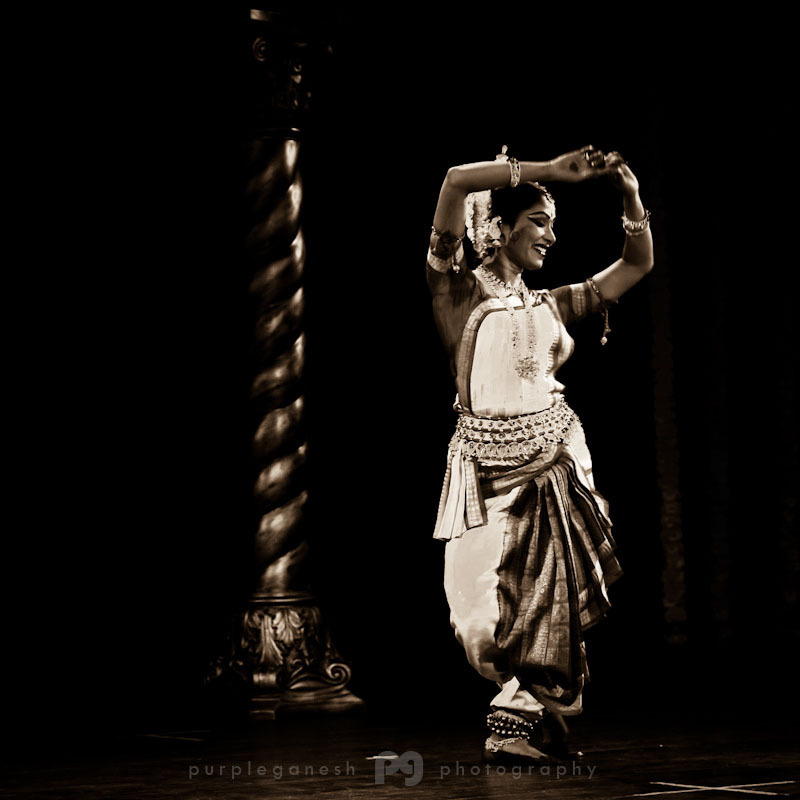 A stillness only interrupted by the gently heaving torso and by those beads of perspiration that gave away the effortless ease with which Sujata moves across the stage. As much as artists like Ms.Mohapatra are responsible for my momentary existential crisis, they inspire me to continue my work behind the camera - an imperfect exercise in two dimensional representation, in attempting to capture rare instance of classical perfection.